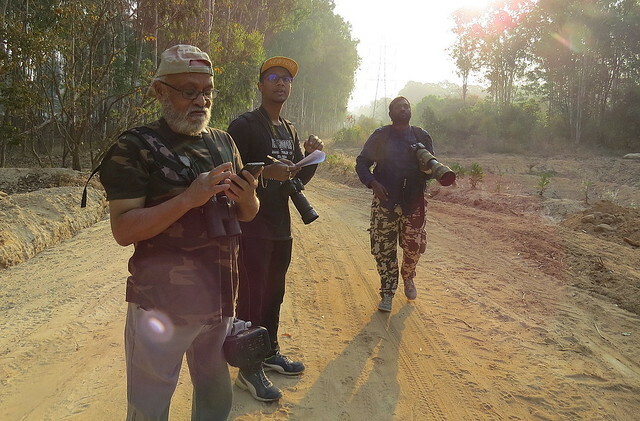 Over the past couple of months, there have been some bird counts, in a laudable attempt to document the species of birds found in the outskirts of Bangalore, and elsewhere in Karnataka, and their numbers as well. 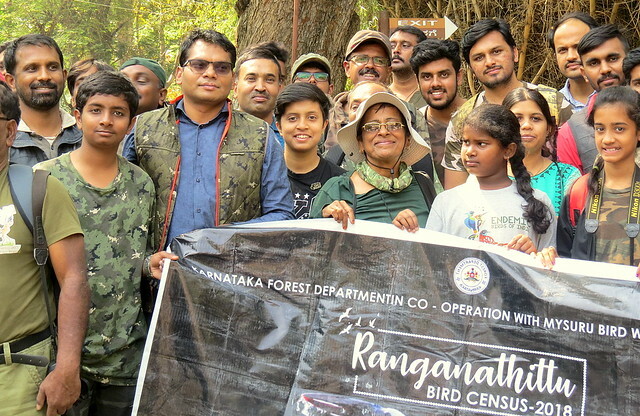 The first initiative, at Bannerghatta National Park, was started in February 2018, to take place on the second Saturday of each month, and will continue over the entire period of a year, through all the seasons. The data will be collated at the end and presented in a report to give a picture of the bird species and numbers throughout the year. The February and March counts have yielded around 100+ species of birds. 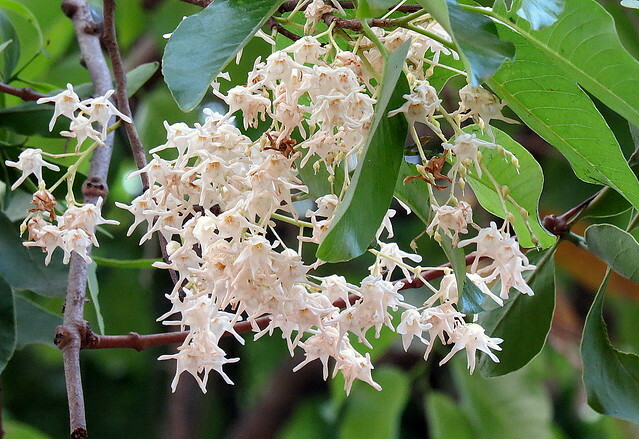 The Park transects were drawn in four ranges, Anekal, Bannerghatta Harohalli, and Kodihalli. Two of the ranges had 10 transects each, and the others 9 each, totalling 38 transects in all, giving a fairly thorough criss-crossing of the 260.5 sq.km park. 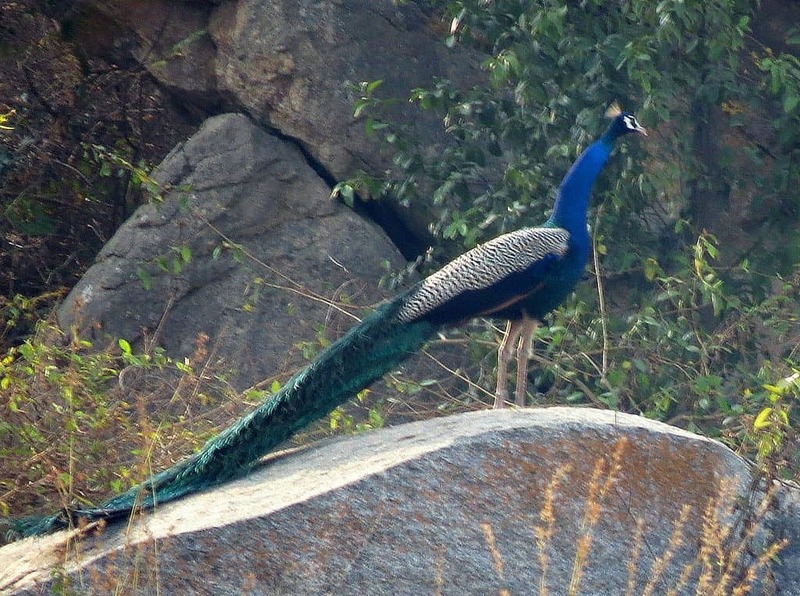 In the image below is a peacock flaunting its beautiful tail during the Bannerghatta census on 10th March ’18. 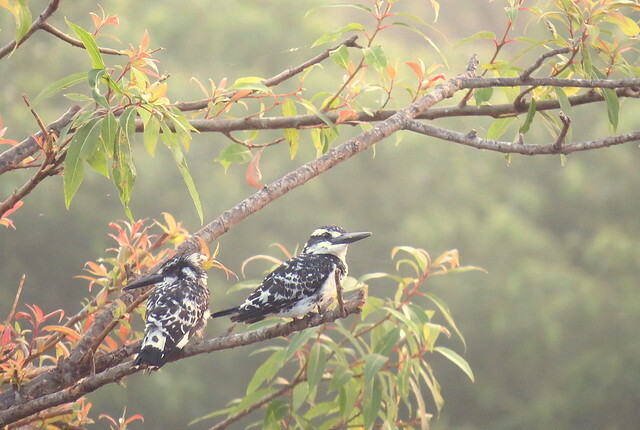 In both February and March, the BNP survey team sent out announcements on “bngbirds”, the umbrella birding group in Bangalore, as well as on other wildlife/nature fora, and asked for volunteers. 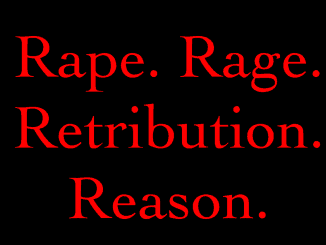 There was a good response, and about 100 to 120 volunteers turned up on both occasions. 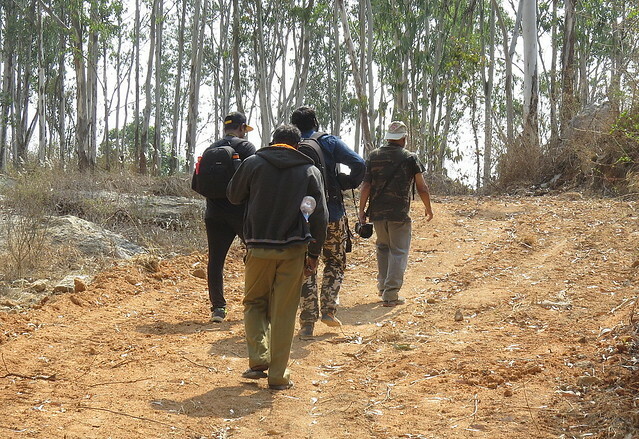 A team taking GPS co-ordinates and doing the documentation, on a transect during the Bannerghatta census. 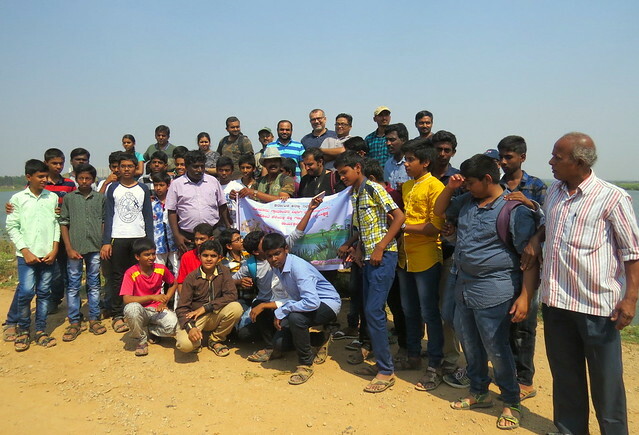 The other bird census, also organized by the Karnataka Forest Department (KFD) in association with volunteers, happened at Hoskote Lake on Sunday, 25th March, ’18. 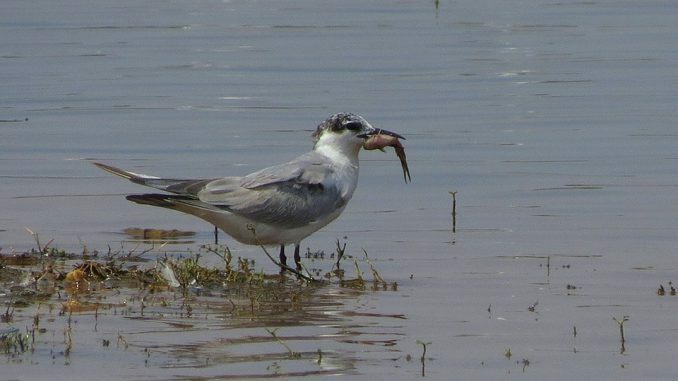 Since this was the day when bngbirds usually has the fourth Sunday outing, Hoskote Lake was chosen as the destination. The starting point was the Gangamma temple where everyone met in the morning. It was a welcome sight to see the children from Om Shri School join in. 126 species of birds were observed on this morning’s census. 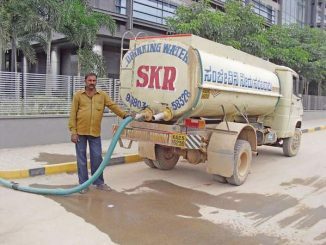 Apart from these, a monthly initiative has also been started by the KFD at Ranganathittu, since March 2018, which will occur on the second Saturday of every month. The aim is to add Ranganathittu as a Ramsar wetland site of international importance. 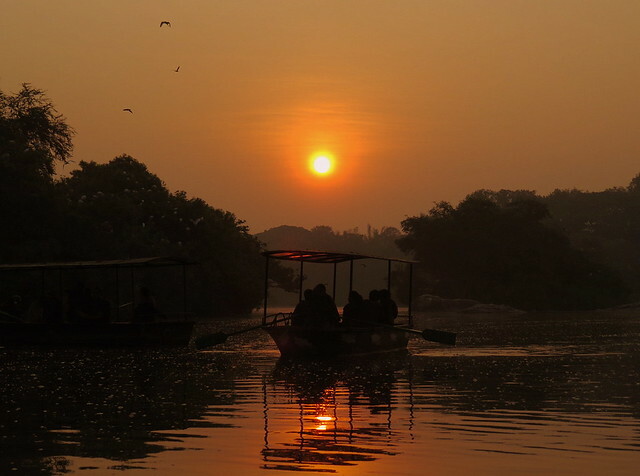 Below is a picture of the volunteers at sunrise at Ranganathittu, on March 11, 2018. 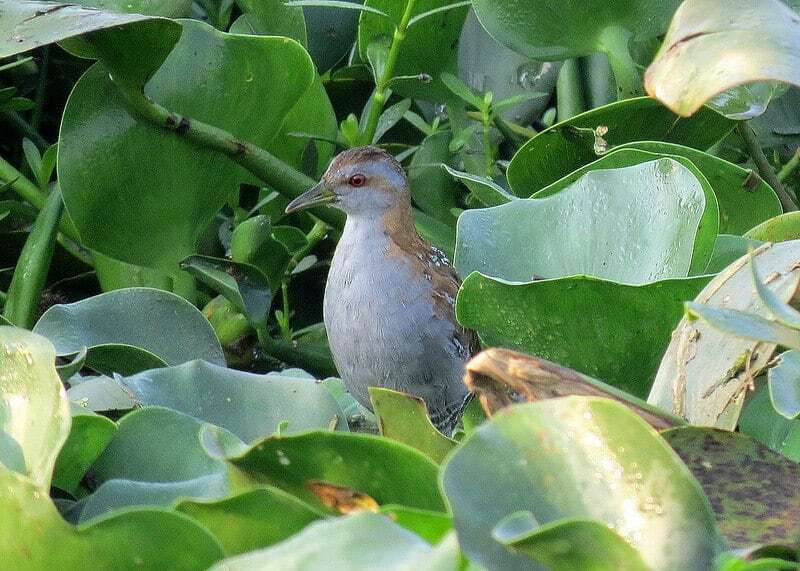 Such initiatives serve to document the wide variety of birds, including both residents and migrants, that can be found in both urban and rural areas. They also provide an opportunity for volunteers to work in tandem with the Forest Department. There are many such bird counts all over India, which provide a great chance for those interested in bird life, to contribute to the database of our avian friends. A simple diagram could help your city manage water better. Here’s how! this is a marvellous story – exciting to find so many birds. what is the status of sparrows now?